Classic and unique wedding jewellery from Hello Lovers. Mix and match the bridal jewellery sets with a bridal hair accessory to achieve your sense of style. 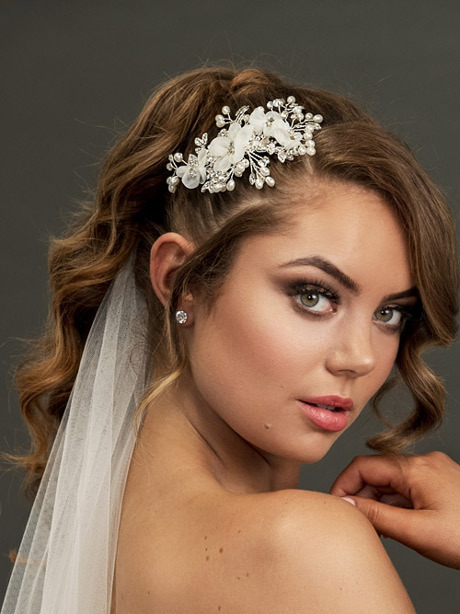 So sweet and simple, these silver and pearl bridal hair accessories are the finishing touch to your bridal hair style. A swirling design that incorporates a touch of vintage charm. Match with silver earrings like the Bling wedding earrings. Or pair with the Flirty wedding Necklace and earrings set. 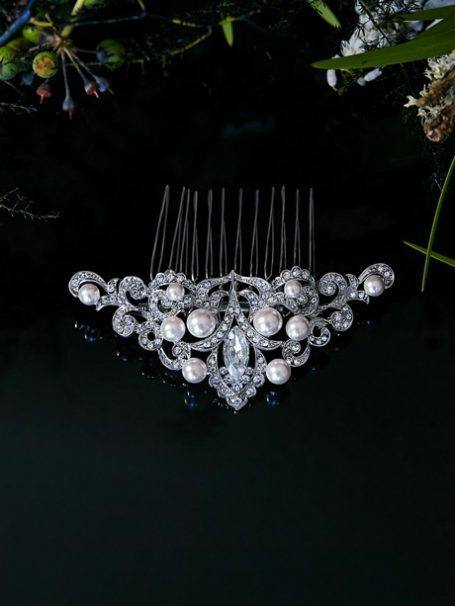 We also have other hair combs you may like among our online jewellery treasure trove. This vintage style hair comb comes presented in a Hello Lovers silk pink box.